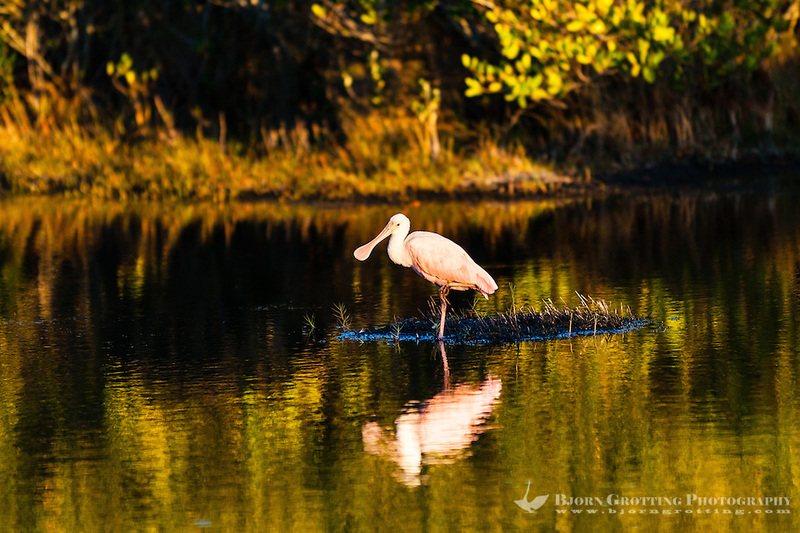 The Roseate Spoonbill belong to the same family as the Ibis, and can be found both in South and North America, mostly in shallow fresh or coastal waters. It’s closest relative is the Yellow Spoonbill. it is a rather large bird with 120–133 cm wingspan and a body mass of 1.2–1.8 kg. 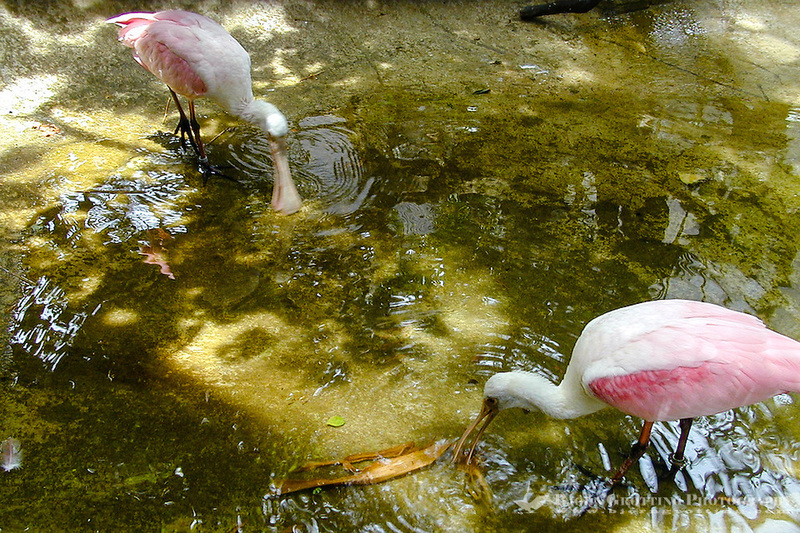 The bill is grey, while like the flamingo their pink colour is a direct cause of their diet; a mix of crustaceans, aquatic insects, frogs, newts and very small fish. The feeding is done by swinging its bill from side to side while walking forward. They often feed in groups. Nests are built in trees or shrubs, often mangroves, where they can lay 2 to 5 eggs. 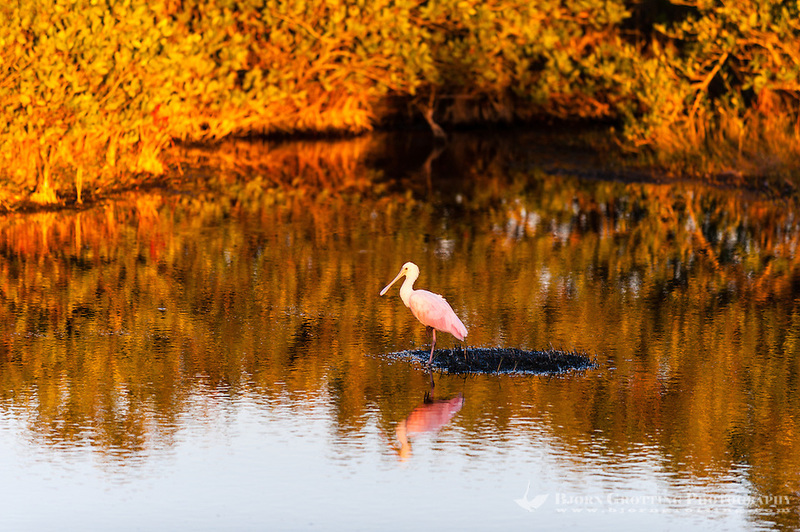 Roseate Spoonbill is not classified as a threatened species.